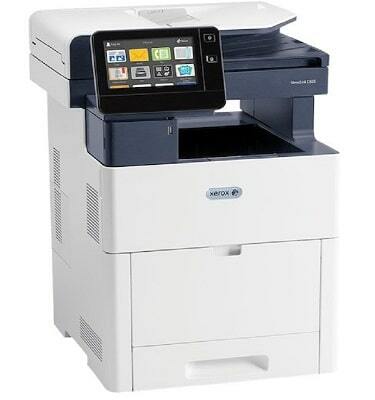 The Xerox VersaLink C605 Color Multifunction Printer is great for any small business looking to increase their productivity and keep up with the day to day flow of business. It has a duty cycle of up to 120,000 images per month. The Xerox VersaLink C605 Color Multifunction Printer can print up to 55 pages per minute in both color and black and white. The Xerox VersaLink C605 Color Multifunction Printer can hold 700 sheets of paper at a time and has a two-sided output feature. There is a 7-inch touchscreen, that you can fully customize with apps and features to fit your business needs. This will help your business be more productive than ever. Call Chicago Copier today and we’ll help you with your purchase of the Xerox VersaLink C605 Color Multifunction Printer and with any questions you may have.